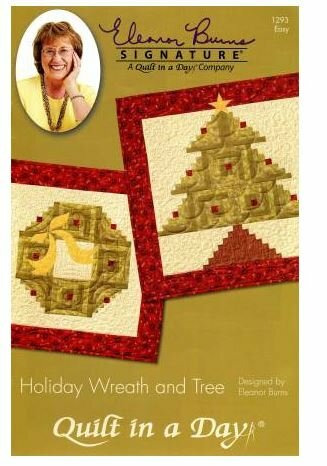 Have a jolly time stitching up a Holiday Wreath or Tree in a twinkling! Blocks are 5 inch log cabins sewn from quaint 1 1/4 inch strips. No need to join the holiday Bustle to add a festive touch to your home! Finished sizes Wreath Wall Hanging 23in x 23in, Tree Wall Hanging 27in x 27in. Great to use for a Christmas Holiday project.